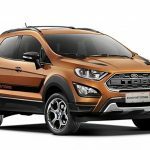 Ford has pulled the wraps off of a sporty-looking new EcoSport model, dubbed the “EcoSport Storm”, in South America, and it’s nearly impossible not to see the resemblance with the current Ford F-150 Raptor. 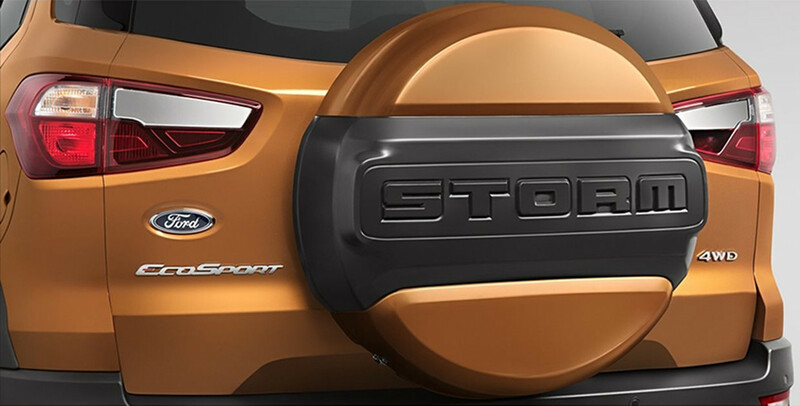 The stylish new EcoSport Storm boasts a similar blacked-out grille with the “Storm” name stamped prominently in the middle, a black “Storm” graphics package, and a black “Storm” applique on the tailgate-mounted spare tire cover. 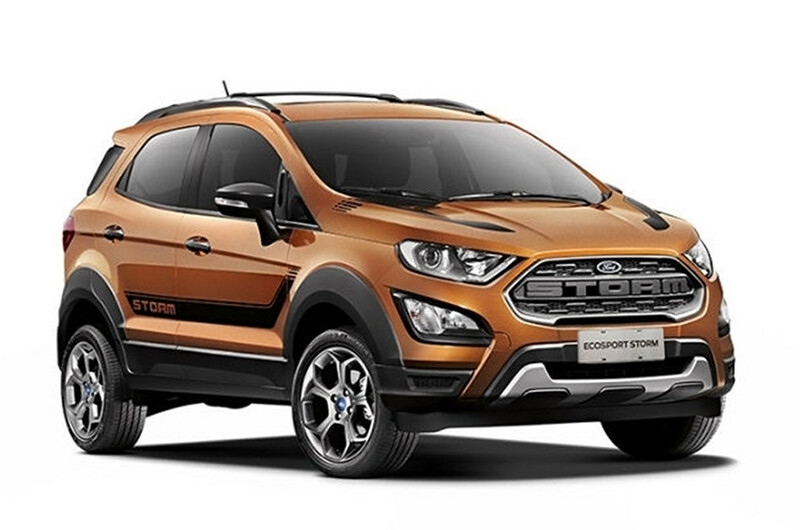 That’s not all that’s been done to make the Ford EcoSport Storm more rugged-looking than its counterparts; the crossover also boasts matte black cladding on the fender and sideskirts, a front skid plate (which appears more cosmetic than functional), and seventeen-inch wheels. 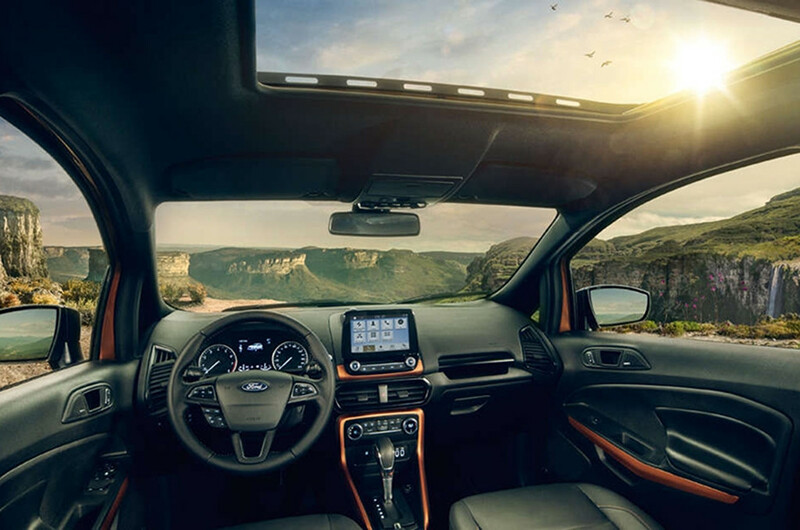 Inside, splashes of color punctuate the door skins, center console, and dash where the floating SYNC 3 infotainment screen is mounted. The seats and steering wheel are upholstered in leather. On the subject of capability, the new Ford EcoSport Storm is decidedly un-Raptor. All-wheel drive comes standard, but it’s paired with a normally-aspirated, 2.0-liter I4 and a 6-speed automatic transmission – not exactly weapons-grade equipment. The engine is rated at 170 horsepower and about 150 lb-ft of torque on gasoline, or 176 horsepower and 163 lb-ft on E85. 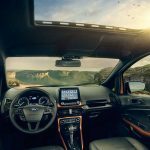 On the other hand, Ford’s engineers did revamp the suspension, and the automaker claims that shock absorption has been improved by 15 percent, while steering wheel vibration has been cut by 40. Will something resembling the Ford EcoSport Storm make its way to the North American market? 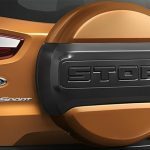 No, most likely not, but depending on its success, it could help the automaker build a business case for a sporty EcoSport ST model or something to that effect. Give it a 2.0L EcoBoost, a 6-speed manual, and all-wheel drive, and that cheeky, pint-sized crossover would be a real hoot. if it’s not the 350hp/350tq 2.3L ecoboost under the hood with the Focus RS drivetrain, don’t bother! As ugly as the ecoboost is, it needs power!!! Take the ecoboost, give the the Focus RS treatment and then maybe it will be worth being on US soil. Other than that. NO!